How much do conferences cost? Conferences vary in cost and there are discounts available for early registration, OLC members, students, retirees and others. Go to http://www.onlinelearningconsortium.org/attend and click on your conference of choice for more information. How many conferences do you have? OLC hosts 2 major conferences per year. The OLC conferences include the annual OLC Accelerate conference in the fall, and OLC Innovate in the spring. Additionally OLC hosts Collaborate events – one day, regional events. Conference locations can vary, go to http://www.onlinelearningconsortium.org/attend and click on the desired conference to find out where it will be located next. What is the focus of your conferences? OLC Innovate is a newer event combining our former Emerging Technologies and Blended Learning conferences, but with a new twist. Throughout the 2.5 day conference, we will discuss and envision how advancing educational innovation through online learning can break through barriers and support systemic change in higher ed, K-12, and workforce education. OLC Innovate is an energetic and unique conference experience that “blends” emerging trends in technology with innovations in pedagogy and administration. This conference will feature interactive sessions, such as Innovation Studios, Campfire Sessions, and Speed Networking Lounges aimed at fostering organic interactions and collaborative cross-disciplinary problem solving. You can read more about OLC Innovate and find a link to the current year’s conference on the Attend page. Our fall conference is traditionally our largest event with over 500 sessions, workshops and micro-learning environments. Formerly known as the OLC International Conference, it is now known as OLC Accelerate. Here you will find 2.5 days of sessions discussing research in online learning, advancing best practice guidance, and many opportunities to engage with hundreds of online learning experts on topics focused at driving quality online learning. Participants new to online learning frequently tell us this was the top conference they were recommended to attend, while many participants have come back year-after-year for decades. Both events are geared to a wide array of professionals from higher ed, K-12, and industry with topics appealing to faculty/staff, administration, IT professionals and instructional design. Do you have virtual or online conferences? Our major conferences have both virtual and onsite components. Go to http://www.onlinelearningconsortium.org/attend and click on your conference of choice for more information. Who should attend your conferences? Experienced professionals and interested newcomers to online learning including higher education, continuing education, business, government, health care, professional associations, and nonprofit organizations; college-level faculty and administrators, faculty members, instructional designers, instructional technology, trainers in public and private sector organizations and media professionals. Do you give CEUs for attending a conference? No, OLC conferences do not offer CEUs. Do you give grants for attending a conference? OLC offers a limited number of grants and scholarships. Please visit the Awards tab from the OLC home page. Discounted rates for OLC Conferences include an early bird rate, student rates for degree-seeking students who qualify, and OLC paid members are eligible for conference discounts. Check the conference Register page for more specifics on the event you are interested in. To register online, go to http://www.onlinelearningconsortium.org/attend and click on your conference of choice for more information. Each conference sends out a Call for Proposals for presenters to apply. Go to http://www.onlinelearningconsortium.org/attend and click on your conference of choice for more information. Please sign up for Email Alerts within each conference to receive the latest conference news and updates. How do I exhibit at your conference? Go to http://www.onlinelearningconsortium.org/attend and click on your conference of choice for more information, or contact the conference team directly at conference@onlinelearning-c.org. Yes, each conference offers sponsorship opportunities. Go to http://www.onlinelearningconsortium.org/attend and click on your conference of choice for more information, or contact the conference team directly at conference@onlinelearning-c.org. How many people attend your conferences? Attendance is robust at OLC conferences. OLC Innovate in the spring has approximately 1,300 attendees and the fall conference (OLC Accelerate) brings about 2,000 visitors. One-day regional events (OLC Collaborate) is limited to 150 participants at each location. Who are your keynote speakers? Keynote speakers are leaders in the online learning arena including cutting edge high profile authors, editors, researchers and technological experts. How do I apply for an OLC award? Please visit the Awards tab on the OLC home page for details. Are meals included in the cost of the conferences? Some meals are included. Go to http://www.onlinelearningconsortium.org/attend click on your conference of choice and see the general schedule for which meals are included. Can I cancel my registration? What are the penalties? Cancellations and refund requests must be made in writing to OLC (email conference@onlinelearning-c.org). Requests received by the specified date will receive a refund minus a $100 administrative fee. Later requests may be granted OLC credit to use at a future event. Additional fees for special ticketed events may apply. Please check the specific event you are inquiring about on the REGISTER page of that event. Go to https://onlinelearningconsortium.org/attend-2019/ and click on your conference of choice. Each conference sends out a Call for Proposals for presenters to apply. Go to http://www.onlinelearningconsortium.org/attend and click on your conference of choice for more information, or, to received email notifications sign up for Conference Updates within each conference site. Degree-seeking students may qualify for a conference discount. Go to http://www.onlinelearningconsortium.org/attend and click on your conference of choice for more information. Exhibitors include organizations who offer hardware, software, Internet activities, distance learning, and other products and services of interest to higher education faculty, administrators, designers, and trainers. Volume discounts are only available for major conference Virtual Attendee Packages (Buy 2 Get 1, Buy 4 Get 2, Buy 6 Get 3, or Group Unlimited registrations). Please check the event you are interested in for more details on Virtual options. Do presenters get to attend for free? All Presenters must register and pay the registration fee for each conference. We encourage you to take advantage of early bird discounted rates (up to a $100 savings) as well as any OLC Professional or OLC Institutional Member Discounts (typically an additional $150 savings for major events). Presenters are required to register no later than the published Early Bird Registration Deadline for their respective event. Do you get a certificate for attending the conference? No, certificates are not awarded for attended a conference. I require special meals; can that be accommodated? OLC is happy to accommodate special needs. Please contact the Conference Team directly at conference@onlinelearning-c.org to discuss. Why do I have to pay for conferences; why are they not free? OLC is a non-profit organization that has full-time staff and expenses to account for. In order to be able to offer these conferences, OLC must charge registration fees to cover its costs. Do presenters need to provide their own handouts? All presenters should provide their own handouts. Electronic versions of handouts should be upload to their session page in the OLC Conference Management System. Yes, walk-in registration is always welcome. Can I access the conference materials after the conference is over? All paid attendees have full access to all recorded conference presentations and presentation materials for one year after the event. I am a presenter, where do I post my slides? Presenters will receive an email with presentation upload instructions. If you do not receive this email or have additional questions, email conference@onlinelearning-c.org. Can I purchase the conference recordings if I do not attend? Yes, you may purchase access to conference recordings after the event. Check each conference from http://www.onlinelearningconsortium.org/attend or email conference@onlinelearning-c.org for further details. Do you issue letters of invitation to attend the conference? We do not provide “Letters of Invitation” for international attendees to attend our events. Conference participants from other countries must obtain a tourist or student visa on their own merit and not be dependent upon Letters of Invitation from OLC to acknowledge or sponsor their attendance. It is up to the applicant, and the applicant alone, to demonstrate his or her desire and compelling plans to return to their home country after a brief visit in order to qualify for a visa. Do I have an account? I lost my user name and password what do I do? Please use the request new password feature on the website, https://auth.onlinelearningconsortium.org/. If the system does not recognize your email address, you will have to set up a new account there. Who do I contact with suggestions about your Website? Where do I purchase a Workshop Pass? Information on the Workshop Pass can be found at https://onlinelearningconsortium.org/learn/workshop-pass. How do I find your publications? To access OLC publications go to http://www.onlinelearningconsortium.org/read. How do I access the OLC journal Online Learning articles? Online Learning articles can be found here https://onlinelearningconsortium.org/read/olc-online-learning-journal/. Can I buy advertising on your website? Who do I call with a billing question? Who do I contact about membership questions? Who do I contact about workshop questions? I can't access the workshop that started yesterday -- what do I do? Can you tell me how many workshops I have taken? Can you tell me how many workshops our institution's faculty have taken? I have finished my workshop requirements; why do I not have my certificate? My mentor is not responding to me. What do I do? My workshop facilitator is not responding to me? What do I do? I missed the workshop live session. What do I do? You can access the recording of the session by returning to the workshop and selecting the ‘Recorded Session’ link. The workshop started yesterday and I did not receive my enrollment key. What do I do? I have a question about your survey data; who do I contact? 9am – 6pm ET, although most Online Learning Consortium staff check email outside of business hours. Can I add questions to your survey? How can my institution participate in your survey? OLC is not currently accepting job postings on the website. Do you sell your membership lists? No, OLC does not sell any membership lists. Once you log into your account, you can click on the “My Account” link on the right hand side of your screen. If you do not have an account already, please set one up here. What types of payment does OLC take? OLC accepts ONLY MasterCard, Visa, purchase orders, and checks. How do I opt out of your email list? To update your subscription preferences, please visit this page. What can OLC do for me (individual and institution)? Become part of the growing OLC community of educators and supporters who are passionate about online and digital learning – anywhere, anytime. Both individuals and institutions have the opportunity to connect with others involved in advancing online and digital higher education, and expand your knowledge and skills through our OLC Institute workshops and programs, the OLC conferences and events, consulting services, research and publications, our Online Learning journal and more. As a member of OLC, you will have access to all of OLC’s professional development opportunities and conferences at a fraction of the original cost. As an institutional member, your faculty and staff can take advantage of OLC offerings for a fraction of the cost of maintaining an in-house resource. OLC does not provide grants. Who are the OLC board members? How can I become an OLC board member? A call for nominations is sent out in the Spring. The Online Learning Consortium’s Nomination and Election Committee reviews submissions and provides a slate of candidates to the Board of Directors. The Board of Directors votes on the candidates. Board terms begin January 1st. Who are members of the Online Learning Consortium? Is OLC the same as the Sloan Foundation? No. However, OLC was originally funded by the Alfred P. Sloan Foundation. OLC is now a non-profit, member sustained organization. What are the OLC awards and what are the criteria? How do I become involved with OLC? What are effective practices and what are the OLC pillars? Can I vote to elect board members? No. Current board members vote to elect board members. But, you can nominate people to serve on the board. How do I donate to your organization? A person can make a donation with credit card or check made payable to The Online Learning Consortium. Send to The Online Learning Consortium, P.O. Box 1238, Newburyport, MA 01950-8238. A receipt will be issued for tax purposes. Can I advertise with OLC? Advertising and sponsorship opportunities are available with OLC. See details here. How do I get in touch with Kathleen Ives? You can contact Dr. Ives via email at kathleen.ives@onlinelearning-c.org. What is the main telephone number? How do I contact individual staff members? You can contact individual staff members via email by using first and last name. As an example, Kathleen Ives (Online Learning Consortium CEO and Executive Director) can be reached at kathleen.ives@onlinelearning-c.org. You can browse a current list of staff members by visiting our website at http://www.onlinelearningconsortium.org/executive-leadership-staff/. How many publications do you offer and what are they? Our list of publications can be found at https://onlinelearningconsortium.org/read. How do I submit a paper to the OLC Journal, Online Learning? You can submit a paper to Online Learning at our online submission site http://olj.onlinelearningconsortium.org. How do I get permission to quote from any of your publications? Send an email to publisher@onlinelearning-c.org to request permission. How often do your publications come out? Who are your peer reviewers? A selection of people involved in an expert in the areas of online education. How do I become a peer reviewer? You can volunteer and register to become a reviewer at http://olj.onlinelearningconsortium.org. What is the acceptance rate for your journal? Where do I find the submission criteria? Submission guidelines can be found at https://onlinelearningconsortium.org/read/guide-authors/. Do I have to be a member to access your publications? It depends on the publication. For information on our publications, visit https://onlinelearningconsortium.org/read. Do I have to be a member to submit a paper? No, not technically, but we do encourage membership for our authors and submitters. Can I buy individual articles? Individual articles can be downloaded for free at https://onlinelearningconsortium.org/read/journal-issues/. How do you select publications for your workshops? The publication strategy is spearheaded by the Executive Director (Kathleen Ives)). I have written a book about online learning; will you promote it? No, however we may review it. OLC Members receive discounts on publications. Sorry, but our publishing program does not take book submissions. Why do I have to pay for some of your publications? While OLC is a non-profit organization, it does need to sustain its operational costs. Not all publications are not free because they require operational funds to produce and distribute. In order to continue to provide our publications resources, we need to ask you to pay for some of them. What is Online Learning’s mission? Online Learning is the official journal of the Online Learning Consortium, which promotes the development and dissemination of new knowledge at the intersection of pedagogy, emerging technology, policy and practice in online environments. Why did the name of the journal change from JALN to Online Learning? With the advent of our organization’s name change, we’ve renamed our signature journal, Online Learning a journal of the Online Learning Consortium. Although our name has changed, our aim and mission have not, which is to provide scholars, practitioners, administrators, and policymakers in online education with knowledge about the very best research in online learning. Papers building on and/or developing theory and supported by rigorous methods are the norm. Occasionally, papers reviewing broad areas are published, including critical reviews of thematic areas. Online Learning is published 4 times a year, and entire issues are published from time-to-time around a single topic or disciplinary areas. Calls for papers for special issues include specific due dates, but general submissions are accepted year-round. The journal adheres to traditional standards of double-blind peer review, and authors are asked to provide systematic data in support of claims. To whom may I submit my general inquires? What does Online Learning look for in submitted manuscripts? We invite high quality manuscripts for blind peer-review on a wide variety of topics including but not limited to those that investigate how online environments amplify, shape and constrain teaching and learning. We welcome submissions that systematically investigate questions around online interaction, collaboration, individualized instruction, multimedia, adaptive environments, blended learning, issues of learning at scale (in both MOOCs and “traditional” online learning environments); emerging technologies; analysis of large data sets in understanding online educational processes; and effective approaches and interventions that promote online student engagement, persistence, improvement and success. We also solicit cutting edge research on how new technologies and the practices they enable urge us to reconsider policy and practice in educational settings. Occasionally, papers reviewing broad areas are published, including critical reviews of thematic areas. Papers useful to administrators are welcome. Online Learning is published 4 times a year and entire issues are published from time-to-time around a single topic or disciplinary areas. Calls for papers for special issues include specific due dates, but general submissions are accepted year-round. The journal adheres to traditional standards of double-blind peer review, and authors are encouraged to provide data in support of claims. How do I ‘blind’ a paper for review? The authors of the document have deleted their names from the text, with ‘Author’ and year used in the references and footnotes, instead of the authors’ name, article title, etc. With PDFs, the authors’ names should also be removed from Document Properties found under File on Adobe Acrobat’s main menu. What percentage of submitted of manuscripts are accepted? Currently, the acceptance rate is approximately 25%. Online Learning uses general APA Style 6th Edition Style guidelines for its publications except where otherwise indicated. For the basics of APA style, go to: http://flash1r.apa.org/apastyle/basics/index.htm. Papers are single-spaced, usually 10-20 pages in length. How do I submit a manuscript to Online Learning? We use the Open Journal System to receive and manage submissions for Online Learning. To register or log in, visit: http://olj.onlinelearningconsortium.org/index.php/jaln/user. If you are already registered and logged in you may go directly to the submission page at: http://olj.onlinelearningconsortium.org/index.php/jaln/author/submit/1. Where do I register to be an Online Learning reviewer? You may register to be a reviewer at: http://olj.onlinelearningconsortium.org/index.php/jaln/login. Please be sure to check the ‘reviewer’ box in your user profile and list your reviewing interests. What are the reviewer guidelines? Please evaluate and comment on the manuscript in terms of each of the questions below, beginning with a short summary of the manuscript. For each question, please advise the author how to improve the manuscript. Your critique—rather than a yes/no answer— matters to authors and editors and influences the quality of the journal. Is the topic of interest to the readership of our journal, “Online Learning”? (Online Learning is abbreviated as OLJ in subsequent questions). Is the manuscript original, supported by empirical research and backed by data? For originality and interest to OLJ readers, you may wish to consult the OLJ bibliography. 3. Are the research strategies and methods appropriate and are the choices for these strategies explained with analyses of strengths, weaknesses, limitations? 4. Is information provided on the research design, participants, and variables sufficient to allow others to replicate the study? 5. Is the manuscript correct in grammar, punctuation, and does it follow APA style? 6. What other improvements do you recommend to the author(s)? Please be specific. Where can I find the latest issue of Online Learning? The latest issue of Online Learning can be found on the Online Learning Consortium’s website at: https://onlinelearningconsortium.org/read/online-learning-journal/ or on the Open Journal System’s home page at: http://olj.onlinelearningconsortium.org/index.php/jaln/index. Yes, printed copies and subscriptions are available at https://onlinelearningconsortium.org/read/journal-issues/. Can I get an individual printed copy of an issue? Yes, for recent issues at https://onlinelearningconsortium.org/read/journal-issues/. Where can I find archived issues of Online Learning? Online Learning’s back-issue archives can be found on the Online Learning Consortium’s “Find an Issue” page at: https://onlinelearningconsortium.org/read/journal-issues/ or on the Open Journal System’s “Archive” Page at: http://olj.onlinelearningconsortium.org/index.php/jaln/issue/archive. JALN’s back-issue archives can be found on the Online Learning Consortium’s “Find an Issue” page at: https://onlinelearningconsortium.org/read/journal-issues/ or on the Open Journal System’s “Archive” Page at: http://olj.onlinelearningconsortium.org/index.php/jaln/issue/archive. Where can I find individual Online Learning or JALN articles? Articles may be searched by author name or keywords on the Online Learning Consortium website at: https://onlinelearningconsortium.org/read/journal-issues/. Please scroll to the bottom of the page and select the “Article Search” tab. Individual articles are also available on the Open Journal System’s Archive page at: http://olj.onlinelearningconsortium.org/index.php/jaln/issue/archive and you can also use the search feature to find articles: http://olj.onlinelearningconsortium.org/index.php/jaln/search. What is The OLC Teaching Certificate program? The OLC Online Teaching Certificate program prepares educators to teach and improve online courses using the OLC pillars of quality in online education—learning effectiveness, scale, faculty and student satisfaction, and access. The program consists of an initial 10-week Foundation course, three electives (or one Mastery Series) of your own choosing and a final presentation in which you describe and demonstrate a fully developed or redesigned online course. In addition, participants work with a seasoned online educator (mentor), who provides additional individual support. How do I apply the OLC workshops to The OLC Teaching Certificate program? As part of the Certificate program, you will be asked to post deliverables in a specific area of the learning management system (LMS) under the guidance of a personal mentor. We use Moodle as our learning platform. Do the workshops I took last year count toward the Certificate program electives? Only the workshops /mastery series taken after the start date of the Foundation course count towards Certificate Program electives. We expect you to complete the entire program within 12-months. Most participants complete the program in less time. The certificate consists of a ten-week Foundation course plus three OLC elective workshops or one Mastery Series in a learning specialization that focuses on improving overall competency within a specific area of academic focus. At the end of your program, you are also required to demonstrate a fully developed or redesigned online or blended course in a final presentation. Additionally, you will receive one-on-one mentoring while you complete the program. Yes. If you take the 3 electives from the same workshop track or opt for a mastery series, you will be considered as specialized in that topic. Can I use the Workshop Pass to pay for the program? You can use the OLC Workshop Pass to cover the three workshops that comprise your area of specialization, but you cannot use the OLC Workshop Pass to cover the cost of the ten-week foundation course. How many courses are required to get a certificate? To receive The OLC Certificate, you must take the ten-week Foundation course plus three workshops (or one Mastery Series) in the area of your specialization. You will also do individual work, applying your new knowledge and skills to your own online course that you demonstrate at the end of the program. How many people have taken the OLC Online Teaching Certificate program? There are currently over 1275 graduates of the OLC Online Teaching Certificate Program (as of end of 2018). Who are the facilitators? What is their background? All of our facilitators are professional educators who are considered experts in their field of study. Do I have a set amount of time to complete electives? From the onset of the ten-week Foundation course, we expect you to complete the entire program within 12 months. Our mentors are all highly experienced and proficient online educators, carefully selected for their ability to coach and support new-to-online educators. You will be assigned your mentor at the end of the initial foundation course. Assignments will be based on your areas of interest and needs, as well as mentor specialties. Note: Participants with no prior online teaching experience are required to complete New to Online: Essentials, Part 1, Getting Started, New to Online: Essentials Part 2, Converting Your Course, and New to Online: Essentials Part 3, Course Design Basics workshops prior to registering for the Certificate Program. Visit our Online Teaching Certificate page to see pricing options. The fee includes the ten-week Foundation course, plus personal mentoring throughout the completion of the program. The three workshops taken in one’s area of specialization have an additional cost. As with all of the OLC online workshops, the program is asynchronous with several live sessions. There is a schedule of activities and deadlines by which deliverables must be posted to forums. How many hours per week of work are expected? To successfully complete all Foundation course and elective requirements, you should expect to spend at least six to eight hours per week. Our assignments and activities are designed to support both those who wish to complete work during regular working hours as well as “weekend warriors”. Additional work needed to complete the design of your online course and final presentation is dependent on your needs and schedule. Do I need any kind of special software? No, OLC workshops are held in Moodle, our LMS, and only require internet access. However, if the workshop you are taking has a live session it is recommended that you have a noise-reduction headset and a microphone to maximize your learning experience. For assignments that require a document submission, participants may use Microsoft Word (or similar software that saves to Word format). Who do I contact for questions and/or support? May I use your materials in our Institution’s own faculty professional development programs? We are flattered that you wish to do so! However, all materials hosted within our Moodle site are proprietary and are meant for the sole use of enrolled individuals while in our Certificate program. No, you don’t. If you prefer to take workshops from different tracks, you can. What kind of deliverables am I required to complete to obtain the Certificate? To obtain the Certificate, you will be required to complete the Foundation course, three electives (or one OLC Mastery Series) and a final presentation. Foundation course deliverables include: weekly activities and postings to discussion threads, as well as the development of an online course plan, syllabus, and online learning activity with assessment. After the completion of the foundation course, deliverables include evidence of the successful completion of three electives. Additionally, you will be required to prepare a final presentation of your online or blended course for the benefit of your mentor and peer group. I do not have any online teaching experience; what do I need to do to get into the program? Participants with no prior online teaching experience are required to complete New to Online: Essentials, Part 1, Getting Started, New to Online: Essentials Part 2, Converting Your Course, and New to Online: Essentials Part 3, Course Design Basics workshops prior to registering for the Certificate Program. How do you know if someone does not have teaching experience? We expect our participants to honestly inform us if they do not have experience prior to beginning the ten-week Foundation course. We have found that those who participate without prior experience have a difficult time understanding the concepts and/or applying the ideas taught. If I have online teaching experience, can I skip the prerequisite? Yes, you only need to complete the prerequisite workshop if you have little or no online teaching experience. What is the Online Learning Consortium’s Advanced Certificate Program? The OLC Advanced Online Teaching Certificate Program is a 12-week workshop designed to help educators fine-tune existing online courses and degree programs in order to have a positive impact on student learning. We start with critically analyzing one of our own courses to determine how close, or far, we are from the best practices described in the OSCQR Course Design Review and the Quality Course Teaching and Instructional Practice (QCTIP) scorecards. This analysis becomes the foundation and framework that each individual participant uses as they explore the six units of study which make up this program. The units include: course quality review, objectives and assessments, active learning strategies, multimedia and social media with accessibility considerations, open unit, and full circle reflection. The Advanced Certificate Program runs for 12 weeks from start to finish, with asynchronous and synchronous components throughout. The Advanced Online Teaching Certificate consists of various modules allowing participants to deeply immerse themselves in the presented topic. Each module will be “kicked off” by a 1-hour live session and will culminate in a project which will be presented to and reviewed by the facilitator and by peers. Each project will be chosen by the participants from a suggested list to ensure that the final product is applicable, has value, and immediate worth. Yes; It is strongly suggested that you have either have taught at least 3+ years online OR have successfully completed the OLC Online Teaching Certificate program AND taught at least 1 year online. If you do not meet prerequisites for the Advanced Online Teaching Certificate please take our Online Teaching Certificate program. Why do OLC Members choose to complete an OLC Mastery Series? OLC Members choose an OLC Mastery Series to explore a specific area of online teaching and learning over the course of three workshops. Members benefit from the Mastery Series format because it highlights practical strategies, includes breaks for reflection and application of concepts, and allows you to get acquainted with other members who share your interests. Successful completion of the Mastery Series results in a Recognition of Mastery from OLC and requires enrollment by the third day and completion of all graded activities by their stated deadlines. Some members elect to participate in a Mastery Series and not complete graded activities, but are still welcome to participate and learn in community. How many people have taken the OLC Mastery Series? Since the OLC Mastery Series began in 2013, over 350 people have completed the program and earned a Certificate of Mastery in their chosen topic. What is the maximum class size for an OLC Mastery Series? OLC Mastery Series programs can have up to 20 people in a cohort. How do I access the OLC Mastery Series? You will access your OLC Mastery Series materials in the OLC Moodle learning management system at institute.onlinelearning-c.org. Reliable, regular internet access is required. Live sessions will be offered and recorded for those who cannot attend. A noise-reduction headset and a microphone is recommended, but not required. Most of the activities can be accessed on a mobile device, but a desktop computer or laptop is definitely ideal. How much does an OLC Mastery Series cost? Can I use an OLC Workshop Pass? Visit our Mastery Series Program page for pricing options. (Note: OLC Workshop Pass coupons may not be used on any OLC Mastery Series programs). What is the difference between registration and enrollment? Registration is when you sign up and pay for your OLC Mastery Series at onlinelearning-c.org. Registration closes 24 hours prior to the start date/time of the OLC Mastery Series at onlinelearning-c.org. Enrollment is when you use your enrollment key (sent to you by workshop@onlinelearning-c.org 24 hours before the series begins) to access the materials and activities for your series at institute.onlinelearning-c.org. Access expires 365 days after you enroll. Who will be my facilitator? OLC Mastery Series facilitators are experts in online learning and faculty development specialists. Facilitators will be named on the registration page for the series. Biographies including credentials are also included. Please note facilitators are subject change due to availability. How much work should I expect? An example of an OLC Mastery Series schedule is shown below with approximate time commitments required to complete graded activities and earn a Recognition of Mastery from OLC. How can I find out if the activities of the OLC Mastery Series are relevant to me? Each of the OLC Mastery Series has specific learning objectives included on the registration page. To determine if the series is a good fit for you, begin by comparing these learning objectives to your own professional goals. For additional information about the graded activities as they may address your needs, please contact workshop@onlinelearning-c.org . Can I take the series with a group of people from my team or institution? Often groups or members from the same team or institution enroll in a series at the same time, but each individual is completing the series on their own. Although there may be additional collaboration possibilities within the series, each individual will still have to successfully complete all graded activities by the stated deadlines to be eligible for a Recognition of Mastery. Are the workshops I complete transferrable? No. All of the graded activities in the OLC Mastery Series must be completed by the stated deadlines of that series in order to be eligible for a Recognition of Mastery. Once you use your enrollment key to access a workshop or series, you have the option to transfer for a fee of $350 to another series, but your previous work in the series will not transfer (see Institute Policies). How long will I have access to the resources? Access expires 365 days after you enroll. How soon after I register can I access my OLC Mastery Series? You will need to wait until 24 hours before the OLC Mastery Series begins. Access is granted through an enrollment key (sent to you by workshop@onlinelearning-c.org 24 hours in advance) to access the materials and activities for your series at institute.onlinelearning-c.org. If you require special accommodations, please check the accommodation box during registration and contact workshop@onlinelearning-c.org so that we can provide the needed assistance as soon as possible. What is a Recognition of Mastery? A Recognition of Mastery is the result of completing an OLC Mastery Series which documents your successful completion of learning objectives in that Mastery Series specialty area. For OLC Members, this recognition signifies knowledge and skills in a specialty area beyond the basics of online education and would added to their vitae as “Recognition of Mastery in [Series Title], Online Learning Consortium – [Date].” Recognition of Mastery is delivered in a PDF document suitable for framing. What happens if I have a personal issue that prevents me from enrolling or completing an activity for the OLC Mastery Series (such as illness or a scheduling conflict)? If this happens before you enroll, you may request to transfer to a different session of a workshop for which you are registered at no additional charge provided the request is made before the day the workshop opens. In this case, your payment can be applied to another OLC series in the same calendar year upon your written request to workshop@onlinelearning-c.org. No refunds will be given. Once you use your enrollment key to access a workshop or series, you have the option to transfer for a fee of $350 to another series, but your previous work in the series will not transfer (see Institute Policies). If this happens after you enroll, you have the option to transfer for a fee of $350 to another series, but your previous work in the series will not transfer (see Institute Policies). If you choose not to transfer, you can request a short extension (24-48 hours) for graded assignments by emailing your facilitator before the due date. You’ll find your facilitator contact information in your course materials. If you choose not to complete graded activities, you’ll still be able to continue accessing the materials, live sessions and discussion forums for the 365 days post enrollment. Successful completion of graded activities are only required in order to download the Recognition of Mastery PDF at the conclusion of the series. What is the Instructional Designer Certificate Program? The Instructional Designer Certificate Program is a series of four, 4-week online courses designed for new and experienced online instructional designers, librarians, and multimedia specialists who work directly with online faculty and other online learning support professionals during the course design and development process, as well as online faculty who support online course design and development at their institution. This program is not meant to teach instructional design skills, but rather enhance the current skill set of the instructional designer for working with faculty during the course design and development process. How many people have taken the Instructional Designer Certificate Program? As of the start of 2019, there have been over 250 graduates of this program. Option 1: If you sign up for an entire cohort (all 4 courses at once), you have once year to complete the program starting from the first course you enroll in. Option 2: If you sign up for each course individually, you have two years to complete the program starting from the first course you enroll in. No, workshop passes and coupons are not accepted for this program or for the individual courses. All facilitators of the Instructional Designer Certificate Program are professional educators with additional experience in instructional design who are considered experts in their field of study. Is there a prerequisite for the program/courses? Yes, all participants must have at least one year of experience working in an instructional design capacity in order to be successful in the program. This option is for participants who may not want to complete the certificate program but would like to take a single course. If participants decide to complete the full program by paying for each workshop individually, they have twenty-four months from the time that they enroll in their first course to complete the entire program (note that the bundle discount does not apply to this option). This program consists of four, 4-week completely online/asynchronous courses. Depending on the facilitator there may be one or more live sessions during each course held via Zoom, but these live sessions are optional to attend and will be recorded to watch at a later time. All courses have graded activities that must be completed by the stated due dates listed in the course. To successfully complete the program, participants can expect to spend 10-15 hours per week working on the course activities. No, OLC workshops are held in Moodle, our LMS, and only require internet access. However, if the workshop you are taking has a live session it is recommended that you have a noise-reduction headset and a microphone to maximize your learning experience. For assignments that require a document submission, participants may use Microsoft Word (or similar software such as Google Docs that saves to Word format). For any questions you have throughout the program, please contact us at certificate@onlinelearning-c.org. I do not have any instructional design experience, can I still get into the program? While you can still sign up for the program or individual courses, we do not recommend it if you do not have instructional design experience, as you will find it difficult to complete the activities in the courses. Go to https://onlinelearningconsortium.org/join and purchase the desired membership type. There are varying costs for each level of membership. Please browse our membership page for more information. We accept Visa and MasterCard as well as a check or PO. What types/levels of membership are available? OLC currently offers Community (Free), Professional, Institutional, Institutional Community College, Institutional HBCU, and Corporate levels of membership. Benefits include online workshop, conference, and publications discounts as well as access to member resources on the website. Specifics for each membership can be found on our membership page. Membership in the Online Learning Consortium provides knowledge, practice, community, and direction for educators. Our online workshops, conferences, and resources help educators stay up to date in this ever changing field. OLC offers Corporate Membership; you can find the details for this program on our Institutional Membership page. Yes, OLC offers a free Community Membership as well as a paid Professional Membership. Why do I have to pay to be a member? Why isn't it free? OLC offers a free Community Membership which grants access to limited information on the OLC website including document abstracts, newsletters, announcements and selected videos and publications. Paying memberships offer benefits and discounts of monetary value and therefore cannot be free. Our members come from all around the world. We have educators, institutions, corporations, educational organizations, and government agencies among our members. How do I find out if my institution is a member? Please check the membership list, http://www.olc.onlinelearningconsortium.org/members_list. If you have any questions about membership, please contact membership@onlinelearning-c.org. What is the difference between Membership and the Workshop Pass? Membership provides access to website resources as well as discounts for workshops, conferences, and publications. The Workshop Pass is a professional development package that bundles seats in the OLC workshops for one low price. Depending on your organization’s needs, you might purchase membership or the Workshop Pass, or both. I do not live in the United States - can I become a member? Yes, members of the Online Learning Consortium come from around all around the world. We welcome international organizations and individuals to join the Online Learning Consortium community. Anyone that is interested in online learning should become an OLC member. We count higher education and K-12 institutions, for-profit institutions, corporations, non-profits, faculty, administrators, instructional designers, and students among our members. Do you have to be a member to submit a paper to a conference? No, currently you do not have to be an OLC member to submit a paper/proposal for any of our conferences. Do you have to be a member to attend a conference? No, you do not have to be an OLC member to attend any of our conferences. We welcome anyone interested in joining and participating to attend our events. Do you have to be a member to attend a workshop? No, you do not have to be an OLC member to sign up for any of our workshops. We welcome anyone interested in joining and participating to attend our events. My institution is a member; how do I take advantage of the membership benefits? To take advantage of website benefits, please set up your ‘New Account for an Institutional Member Affiliate’ under your institution, http://olc.onlinelearningconsortium.org/user/register . Once you associate your account with your institution, you will be able to access all the resources on the website. You can also find all the member resources on the members page, https://onlinelearningconsortium.org/olc-member-resources/. Please check the membership list(institutional members and corporate affiliates), http://olc.onlinelearningconsortium.org/institutional_members. If you have any questions about membership, please contact membership@onlinelearning-c.org. How long does it take after I register for membership to be able to use the discount coupons? As soon as we receive payment, your welcome email along with your coupon codes will be sent to the email address provided. Is there a set enrollment period for membership? No, there is no set enrollment period. Membership in the Online Learning Consortium is rolling. Discounts on membership are available for community colleges and HBCUs. Community college and HBCU discounts are also available for the Workshop Pass. How do I set up my account under my institution? To take advantage of website benefits, please set up your account under your institution here, http://olc.onlinelearningconsortium.org/user/register. Once you associate your account with your institution, you will be able to access all the resources on the website according to the membership level of your institution. I've lost my user name and password? How do I retrieve them? Please use the request new password feature on the website, http://olc.onlinelearningconsortium.org/user/password. The Corporate Membership program is for corporations who would like greater involvement in the OLC community. Benefits include deeply discounted pricing on conferences, workshops, seminars, journals, free webinars, peer networking, early access to research and more. Go to https://onlinelearningconsortium.org/join/corporate/ for more information. To register for an OLC workshop, find it among the list of upcoming workshops, click on the workshop you want to take, click “Learn More” and choose “Add to Cart” on the workshop page. Complete checkout with the required information, including payment options. Yes, all of the OLC workshops are held online in Moodle, our LMS. Workshop prices vary, however most are $270 for non-members, $170 for Members. Do I have to be a member to take a workshop? No, you do not need to be a member to participate in an OLC workshop, but members do receive a discount on workshop prices. How much time does it require to take a workshop? Most workshops require a time commitment of 5-10 hours per week. No, OLC workshops are held in our Learning Management System, Moodle, and only require internet access. However, if the workshop you are taking has a live session it is recommended that you have a noise-reduction headset and a microphone to maximize your learning experience. Are there pre-requisites for the workshops? Some do have pre-requisites. Please see the full description of the desired workshop for pre-requisites. Can I receive CEUs for a workshop? No, currently the Online Learning Consortium does not offer CEUs for their workshops. How do I use my OLC Workshop Pass for a workshop? To use your OLC Workshop Pass for a workshop, during checkout enter your OLC Workshop Pass code when prompted. How do I find out if my university has a Workshop Pass? Please email info@onlinelearning-c.org and someone will be happy to help you. Do I have to take workshops in any particular order? Most workshops do not need to be taken in any order. However, workshop topics with multiple parts might need to be taken in an order, or some workshops (programs) might have prerequisites. Check the registration page of the workshop you are interested in. Who are the facilitators for the workshops? What credentials do they have? OLC facilitators are experts in the field of online education. You can find facilitator biographies that include credentials and other information about them on the workshop description page for each workshop. How do I access the workshops? When you register for an OLC workshop you will receive a confirmation email. OLC workshops are held in Moodle Learning Management system which has a different URL than the OLC website and require you to create a separate account. Four days before the workshop starts, you will receive another email that contains step-by-step instructions on how to access your workshop and also contains an enrollment key that you will use to access your particular workshop. What format do the workshops use? All OLC workshops are held in Moodle, our Learning Management System, and use Zoom as the platform for their live sessions. Workshop participants can access the course materials for one year from the start date of the workshop. Contact Jennifer Rafferty, Director of the Institute at jennifer.rafferty@onlinelearning-c.org . Yes, you must complete the required workshop deliverables and satisfaction survey in order to download your certificate of completion. Once I am registered, can I log in any time I want? No. You will receive an email with an enrollment key four days before the workshop start date. The workshop will close for enrollments at the end of the 2nd day of the 7-Day workshops, and end of the 1st day of the 3-Day workshops. When are the live sessions? What are the live sessions? Workshop live session times vary and will be posted within the workshop course itself. Please see our workshop model for more details. If you have further questions, you can contact the Institute team at workshop@onlinelearning-c.org. Do I have to be in any particular place to take a workshop? No, as long as you have internet access, you can participate in OLC workshops from any location. If you register and pay for an OLC workshop and are unable to attend, we will be happy to apply your payment to another OLC workshop at your request. However, no refunds will be given. This offer is good for one year. Please see our workshop model for more details. What experience do I need to take a workshop? OLC workshops are targeted for a broad range of audiences. If you are unsure whether a workshop will suit your needs and goals, please contact the Institute team at workshop@onlinelearning-c.org. What if I am unable to take a workshop after I sign up? What do I do? Email workshop@onlinelearning-c.org to request to transfer to a different session of a workshop for which you are registered at no additional charge provided the request is made before the day the workshop opens. Once you use your enrollment key to access a workshop or series, no transfer or refund will be allowed. Yes, the workshops are accessible. However, if you require special accommodations, please contact workshop@onlinelearning-c.org for assistance and check the accommodation box during registration. How do I use the online workshops for faculty development at my institutions? Since a wide variety of topics are covered, many institutions choose to obtain OLC membership or the OLC Workshop Pass to offer workshops to their faculty at the best prices. Whether your institution is looking for the basics of online learning or want to keep up with the trends, OLC workshops are a great way to bring faculty development to your faculty and administrators. Can I access my workshop using OLC website login credentials? No. You will need to create a new account on our Moodle Learning Management System at http://institute.onlinelearningconsortium.org/login/index.php and wait to receive your enrollment key for the workshop you signed up for. Do you give scholarships for the workshops? Unfortunately, we do not currently offer scholarships for our workshops. How do I submit a proposal to deliver/facilitate a workshop? OLC members, including those with free community membership, may submit a workshop or webinar proposal anytime. How far in advance do I need to register for a workshop? You must register 24 hours before the start of the workshop. Please see our workshop model for more details. The length of OLC workshops varies, please see our workshop model for more details. What is the Workshop Pass? The OLC Workshop Pass provides institutions 10 seats or 5-seats in the widely acclaimed OLC online workshop series for one calendar year. Many institutions use the workshops as a cost-effective and convenient way to improve quality in online education while networking with new colleagues. What type of events do you offer? OLC offers virtual events related to our conferences as well as webinars. What type of software etc. do you need to attend your virtual events? It depends on the event. We do not use proprietary technologies for any of our events. Streaming video is usually accommodated within a browser. We have used and will be using Sonic Foundry’s MediaSite Player, Zoom, Google+, and other standard web-based technologies. What does the virtual event cost? The cost varies from event to event. How many presentations do I get when I attend a virtual event? Most webinars are single events. To see the sessions available for virtual conferences, please visit the individual conference pages from https://onlinelearningconsortium.org/attend. If I buy one seat -- is that just for me -- or can I invite others to attend? One registration or “seat” may only be used by one person. You may not invite others to attend with you, they will need to register separately. For large groups in our virtual conferences, consider purchasing a Virtual Institutional Package. What exactly is a 'virtual event'? What does that mean? That’s a good question. We also believe this space is evolving and our answer today could be different a year from now. There are a few key factors that make an event “virtual.” First, it must be available to a geographically disperse group. That is typically achieved through technology and not loud speakers! The audience must have a way to communicate with each other to discuss, preferably real-time, the presentations. The audience must have a method to communicate comments and questions to the presenter. Are virtual events held in conjunction with your conferences? Standalone? Actually, for OLC, it’s both! Our conferences offer virtual attendance, but we also have standalone webinars. Oftentimes, yes, there are discounts. We also like to bundle the cost of virtual events with memberships…watch for those, they’re a great deal! Can I watch the virtual presentations any time I want? How long do I have access? Typically yes. Most streamed sessions will be available on demand for up to one year. Can I talk/network with other attendees while I am watching the presentations? Yes. We strongly encourage this activity and feel it is an essential component of a virtual event. What do I do if I have technical difficulties during the virtual event? There is always a person designated to assist the virtual participants during an event. How do I present at a virtual event? Proposals for presentation at virtual conferences must follow the conference Call for Papers system and deadlines. You can find those by clicking on the specific conference at https://onlinelearningconsortium.org/attend. OLC members, including those with free community membership, may submit a workshop or webinar proposal anytime. I want to present at your conferences but cannot attend? Please let us know. If your paper was accepted by a conference committee, perhaps we can accommodate your request by bringing in a co-presenter and including your presentation as part of our virtual event. Please contact conference@onlinelearning-c.org for more information. How do I get access to the sessions? You will be notified upon registration how to gain access to the various virtual components. Are there any specific computer requirements needed to view the sessions? The computer requirements are typically not anything more than general web-based technologies. How do you determine which presentations will be offered virtually? The virtual presentations will be clearly identified one our event websites. Can virtual attendees ask questions? Absolutely, webinar attendees can ask questions by voice or chat. Conference virtual attendees may ask questions by chat, which will be brought to the presenter by an in-person representative. Are there set times for participation in the virtual events? Yes. All events are scheduled whether they are part of an on-ground event or exclusively virtual. On demand recordings are usually made available for one year post-event. 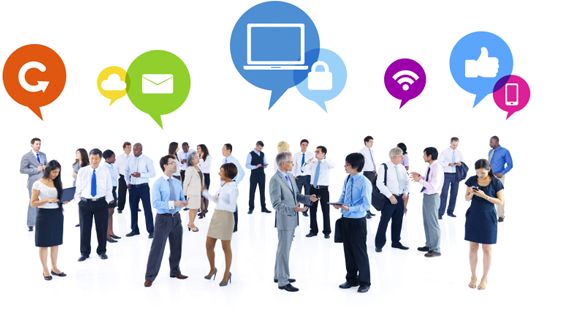 Are there social networking opportunities during the virtual events? Yes. We typically identify a Twitter hashtag to use, as well as other social networking activities. We also like to encourage people to provide us feedback and encourage “ground-swell” sorts of activities…this is how we learn and can evolve our activities in this space! Why are the virtual events not free? There are costs associated with producing our virtual events. Each session is streamed, registrations need to be collected and managed, the program is produced, etc., so fees are collected to cover costs. Some of our events, such as most webinars, are “free” to members. What is the Quality Scorecard? The concept of ‘quality’ in online education can be elusive and complex. Nevertheless, educators continue to seek out ideal learning environments and share effective practices for advancing quality. Through a collaborative effort of several dozen seasoned online educators, the OLC Quality Scorecard continues to advance the field, simplifying the steps needed to identify, measure and quantify elements of quality within an online education program. OLC members will learn how to apply Quality Scorecard metrics, uncover and evaluate quality indicators in key categories, and consider thoughtful recommendations for implementation. By using the OLC Scorecard an administrator – regardless of size or type of institution – can determine strengths and weaknesses of their program, and initiate planning efforts towards areas of improvement. It can also be used to demonstrate elements of quality within the program, as well as an overall level of quality, to higher education accrediting bodies. Who can access the Scorecard products? After 3 years of user study and feedback, the Quality Scorecard now has more indicators (75), a higher score potential and includes a scoring rubric in the updated handbook. OLC Institutional Members have access to the interactive scorecard and can download the pdf handbook for free. The 2-page downloadable rubric of indicators is free to all. Institutional and Corporate Members can also request an official review by OLC and have access to consulting and advisory external evaluation services. What does an official review by OLC entail? After self-scoring with the OLC Quality Scorecard, the program administrator develops justifications and submits documenting artifacts that are placed inside the OLC online repository (available to OLC institutional Members). Trained Scorecard reviewers virtually examine each score, justification, and artifact and certify that each quality indicator was scored correctly. This process includes a report prepared for the institution with recommendations for possible improvements if applicable. Programs that score 202 points or more after the “official review” will be awarded an Online Learning Consortium Exemplary Program logo that may be displayed on their website and other materials.